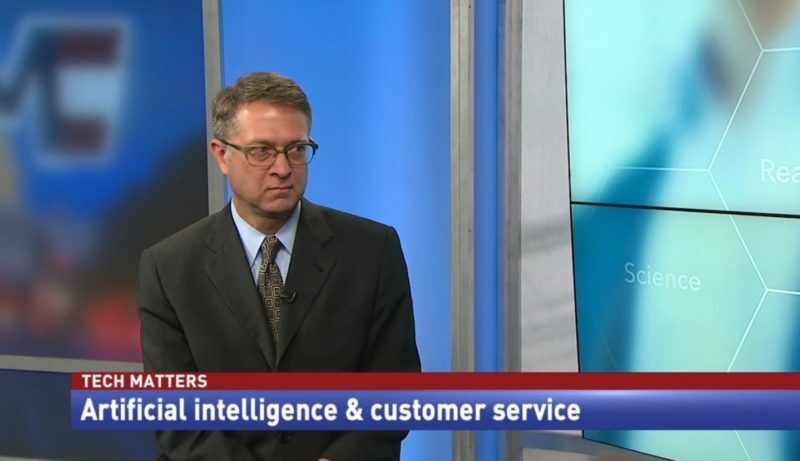 In an interview on “Government Matters,” Dom Delmolino, chief technology officer at Accenture Federal Services, talked about the implementation of artificial intelligence and improving the relationship between it and the citizens it serves. Delmolino said the greatest opportunities for AI lie within improving customer experience and customer contact services. Services such as chatbots can be applied to answering repetitive questions as well as aiding in routine decision-making. This form of AI will relieve some of the burden on individuals who normally conduct those tasks and grant them the opportunities to make those decisions quicker. AI will also contribute to the exchange of information between federal agencies. Delmolino said he looks forward to the Center of Excellence at the General Services Administration playing the facilitating role between agencies. This would allow agencies to view what has and what hasn’t worked in the past and to explore private sector best practices. Technology: Are they ready with the technology, on premise or in the cloud? Data: Do they have the right data? Do they know where it comes from? Is it applicable to the problem at hand? Do they know the pedigree? Is it clean, good data for the problem? People: Are their people ready to understand how they’re going to oversee the AI? Have AI work next to them? Or have the AI interact with them?